No matter what you though about the controversial cancelled Bat Girl variant cover you can’t deny it’s got people talking about what they think is appropriate in 2015 for the two big major comic book companies! 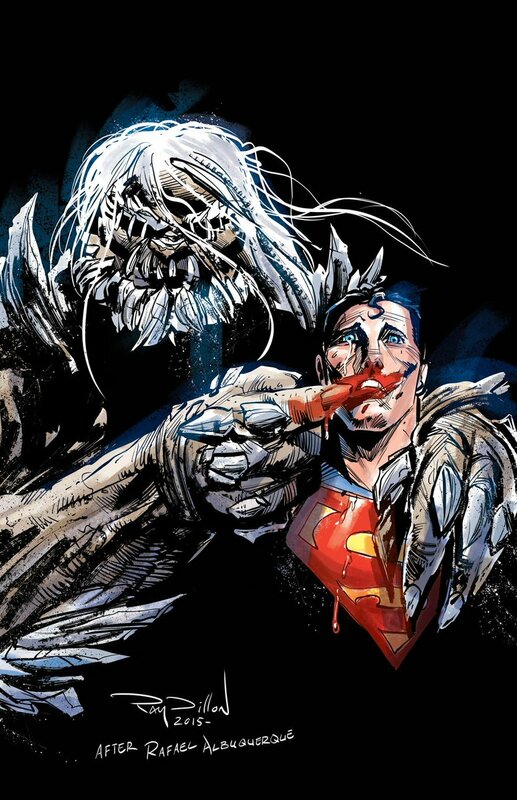 Well here we another pic that’s generating some buzz by Ray Dillon it’s Superman being terrorized by Doomsday, the very villain who at one time killed him! What do you think he’s trying to say about the topic? Frankenstein Goes Underground with Mignola!